Carley Ferrara holds over fifteen years experience in woodworking, and another six years in blacksmithing. Once a single-woman operation formed in Boone, NC in 2013, Iron Mountain Forge & Furniture has grown into an entire team of wildly talented craftspeople, creating custom pieces for clients all over the world. 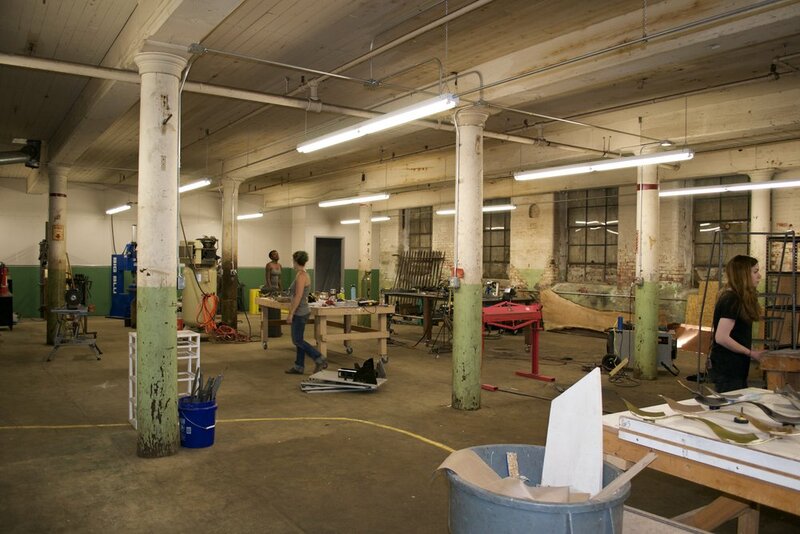 The team at Iron Mountain Forge & Furniture is united by a true passion for craft. Here are their stories. 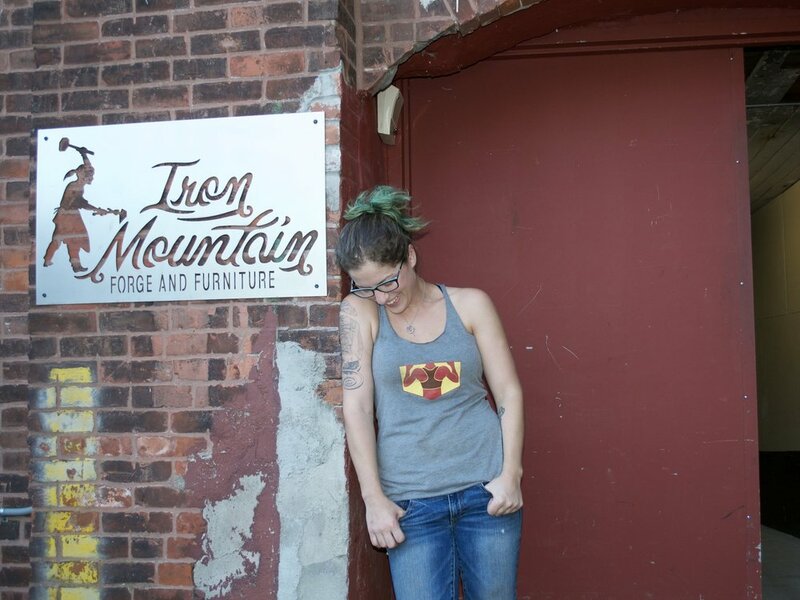 Carly is the owner and lead craftsperson of Iron Mountain Forge & Furniture. She received her BFA from Miami University of Ohio in Interior Design, with a dual concentration in Furniture Making and Business. She later received her MFA from the Rhode Island School of Design in Furniture Design and Construction. She has designed and built custom pieces for clients all around the world. You can find Carley madly swinging her hammer at the IMFF studio, while jamming out to Led Zeppelin. In 2015, Carley was featured as a contestant on the inaugural season of 'Ellen's Design Challenge' which airs on HGTV. Interested in joining the team? Click here to check out open opportunities! Check out our blog, where we sometimes update you on projects we're working on.